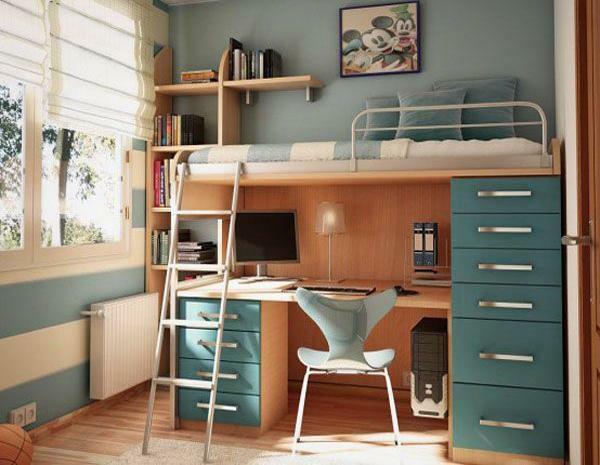 End of summer is a perfect time to start preparing, redesigning, and decorating kids rooms for a school year. Attractive and creative interior decorating, ergonomic furniture, bright lights, and playful accents create beautiful and comfortable spaces which stimulate children to learn and enjoy their activities. 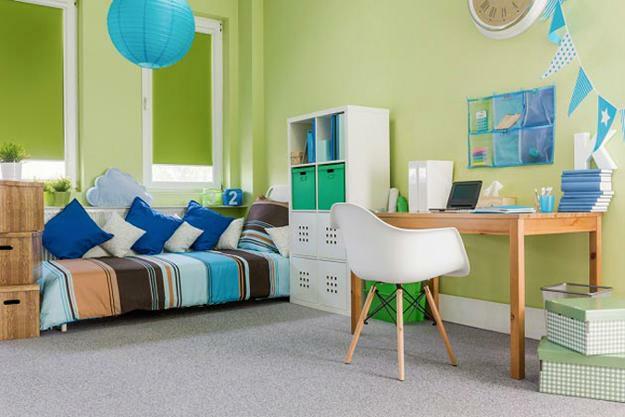 Here are Lushome tips for kids bedroom design and decorating which may help parents prepare their daughters and sons rooms for the school time. The best way to teach children to concentrate is designing a study area for them. All toys stay in a different zone. The study area needs a desk, a chair, a few organizers, and book shelves or storage bins. A comfortable study area with a medium size, adjustable desk and chair with ergonomic backrest and seat is a perfect idea for keeping pupils healthy and happy. Well-chosen kids furniture provides good support for flexible, fast growing bodies, and make sure kids avoid spine problems in the future. 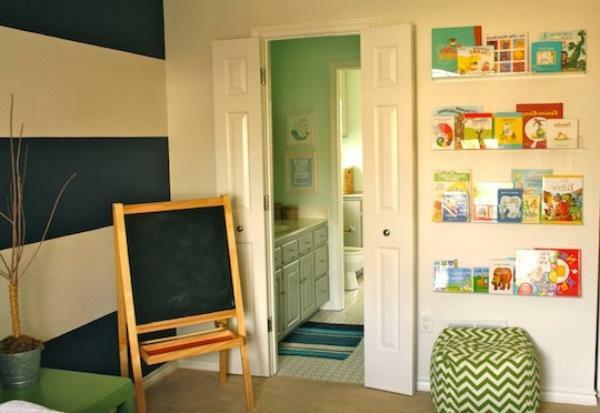 The best way to teach children to concentrate is designing a study area for them. All toys stay in a different zone. The study area needs a desk, a chair, a few organizers, and book shelves or storage bins. 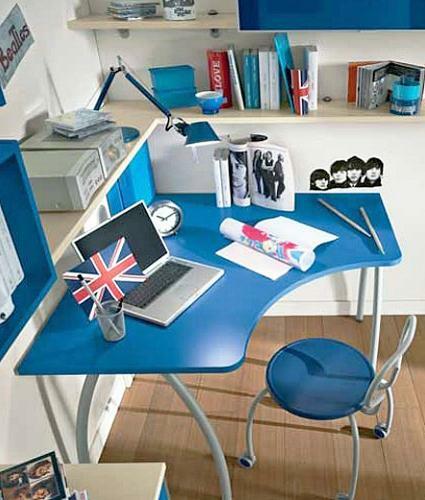 A comfortable study area with a medium size, adjustable desk and chair with ergonomic backrest and seat is a perfect idea for keeping pupils healthy and happy. Well-chosen kids furniture provides good support for flexible, rapidly growing bodies, and make sure kids avoid spine problems in the future. 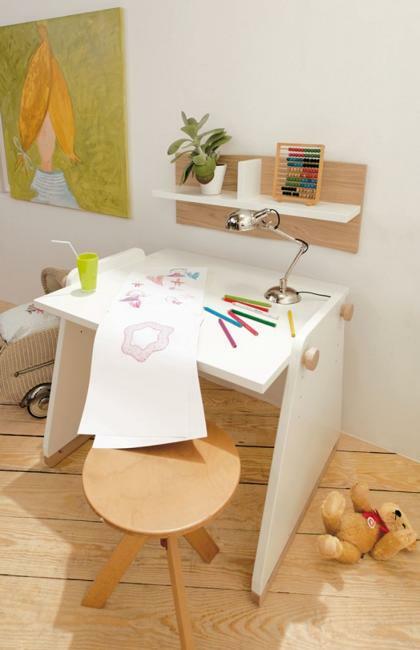 Kids furniture, made of natural wood and metal are excellent choices for eco-friendly, comfortable, and durable kids room design. 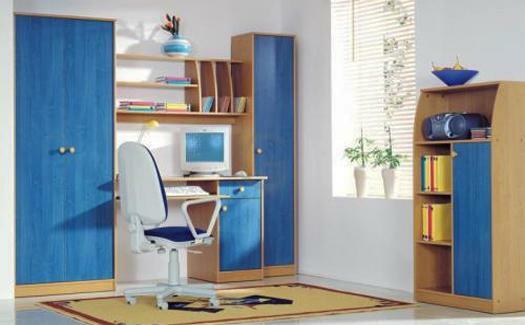 Wooden bookcases and shelves, unfinished or painted bright colors look beautiful with wooden desks and chairs. Yellowish light bulbs are suitable for night lights and storage spaces. Kids eye get tired of warm yellow light too quickly. Warm white light bulbs are perfect for table lamps and general lighting in kids rooms. Warm white lights are mimicking natural light creating visual comfort for the eyes. Sharp, cold white light (more than 4000K) is the worst option for children bedrooms. 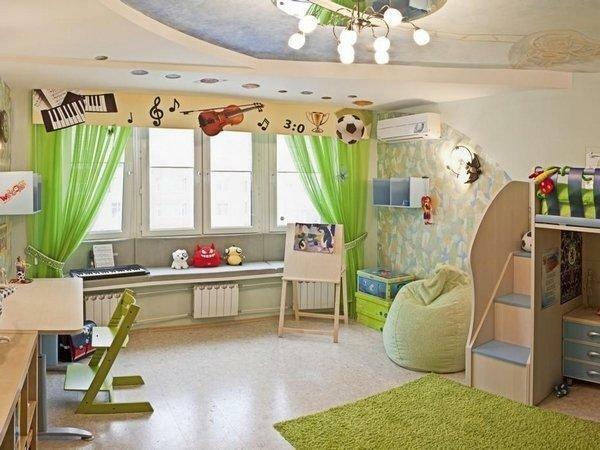 Green colors are fabulous ideas for calming and pleasant kids rooms. Brown colors of natural wood and green paint or wallpaper look harmonious together offering the best color combinations for a study area. Green color helps concentrate and improves memory. 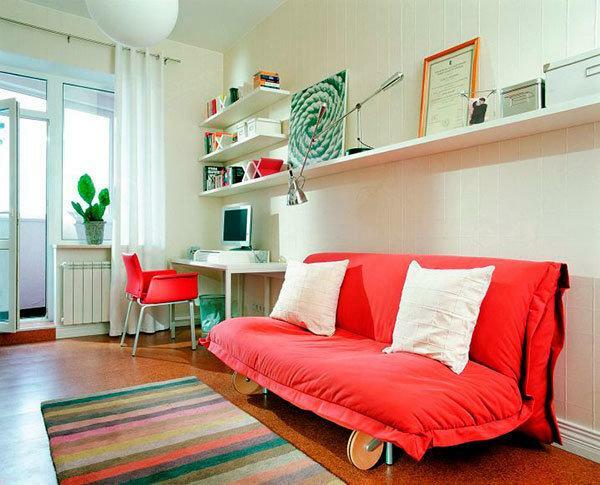 Bright color accents which match the green and brown study area can jazz up the rest of the room. Window curtains, bedding sets, shelves with toys and lamp shades in other parts of the room can add yellow, blue, red, purple and turquoise color tones to kids room decorating. 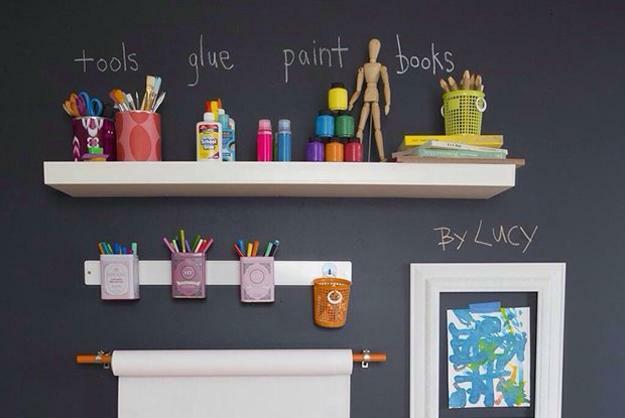 Black or colorful chalkboard is an excellent wall decoration for kids rooms. 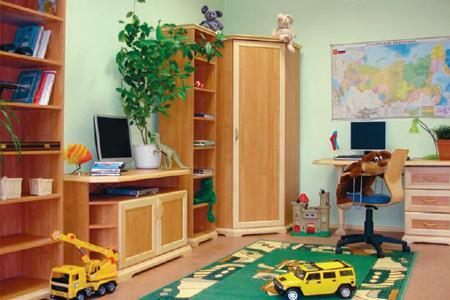 A drawing set, a cork board or a chalk board, colorful bins with toys and convenient book shelves can keep kids away from computers, giving them time to explore books, dream, enjoy art and craft projects, and play active games. 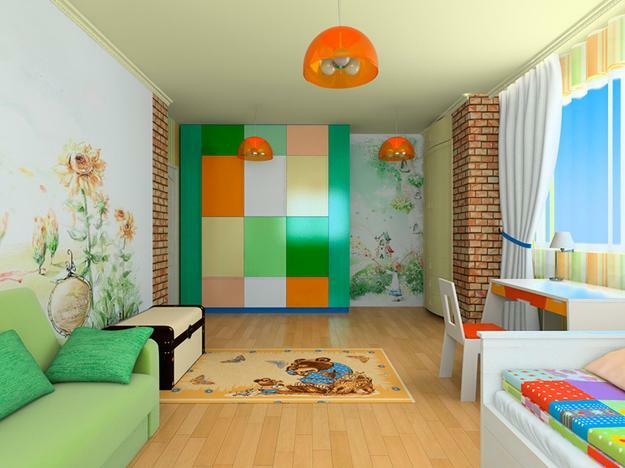 It is worth to ask kids to take part in their room design and decorating. 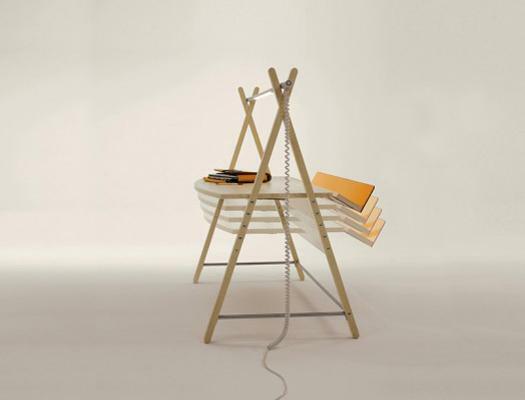 These creative people give many ideas and inspirations, helping create original, unique, comfortable and fabulous interiors for play, study, and sleep.